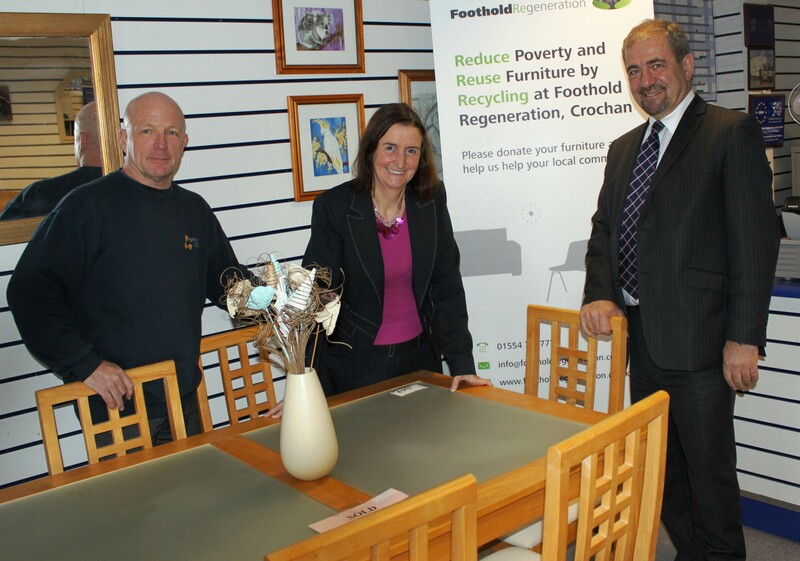 Nia Griffith MP recently visited the Crochan project which recycles furniture. It is based in Trostre Industrial Park and run by Foothold Regeneration. Geoff Greenfield who is the team leader at Crochan took her on a tour of the unit. The project collects unwanted items donated from residents in Llanelli and then sells them at a low cost helping to provide much needed affordable goods for the home. They also overhaul unwanted children’s bikes to make sure they are safe before selling them at modest prices.